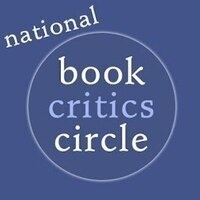 Every year, the National Book Critics Circle presents awards for the finest books published in English in the categories of Fiction, General Nonfiction, Biography, Autobiography, Poetry, and Criticism. On Wednesday, March 13, finalists will read from their work and awards will be presented on Thursday, March 14. To read interviews with the National Book Critics Circle Awards finalists conducted by New School Creative Writing students, visit the Creative Writing blog. Co-sponsored by the Creative Writing Program and the National Book Critics Circle.